BTC prices have dropped nearly 50% so far in 2018, but there are signs of hope that the bear market will soon be over. In fact, billionaire Marc Lasry, the CEO of Avenue Capital Group, just made a bold Bitcoin price prediction. 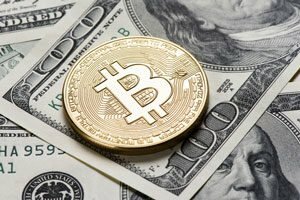 Lasry has invested around 1% of his personal fund in Bitcoin, and he believes BTC prices could reach $40,000. He didn't provide a date of when that could happen, but from today's prices, that could be a potential profit of 5,267%. BlackRock Inc. (NYSE: BLK) CEO Larry Fink was previously opposed to cryptocurrencies. However, BlackRock has a working group that meets to discuss blockchain technology, according to The Daily Express. If an asset management firm with a portfolio worth more than $6 trillion gets into the market, you should see crypto prices start to climb. If you're not making millions of dollars with cryptocurrencies… you could be. Click here to discover the coin that will soon be BIGGER THAN BITCOIN… and how to claim YOUR cryptocurrency fortune while you still can. On July 13, Coinbase announced it is "exploring" five new coins to add for trading. Those include: Cardano, Basic Attention Token, Stellar Lumens, Zcash, and 0x. There could be short-term gains to be made if any of those cryptocurrencies are added, as Litecoin (LTC) prices climbed 32% the day after LTC started trading on Coinbase. Entrepreneur John McAfee, who believes Bitcoin prices will reach $1 million by 2020, said in a July 17 tweet that he was unsure if the recent rise in BTC prices signals a bull market. However, he said that he's sure there will be a bull run at some point. The International Business Machines Corp. (NYSE: IBM) stock price is up over 2% today thanks to impressive Q2 earnings. Analysts were expecting earnings per share of $3.04 on $19.85 billion in revenue. Instead, IBM reported $3.08 on $20 billion in revenue. Earnings were helped by IBM's "Strategic Imperatives" sector, which includes cloud computing, cybersecurity, and blockchain technology. Year-over-year revenue from Strategic Imperatives increased 15% to $39 billion.